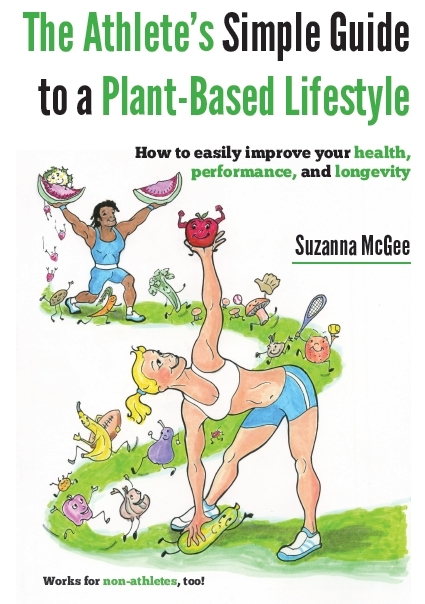 This entry was posted in Misc and tagged core hips on February 28, 2018 by Suzanna McGee. We often don’t think about in what way our hips are tilted when we move, stand, or walk. However, having a good control of your hip movement could be life changing, in your athletic performance and your health. 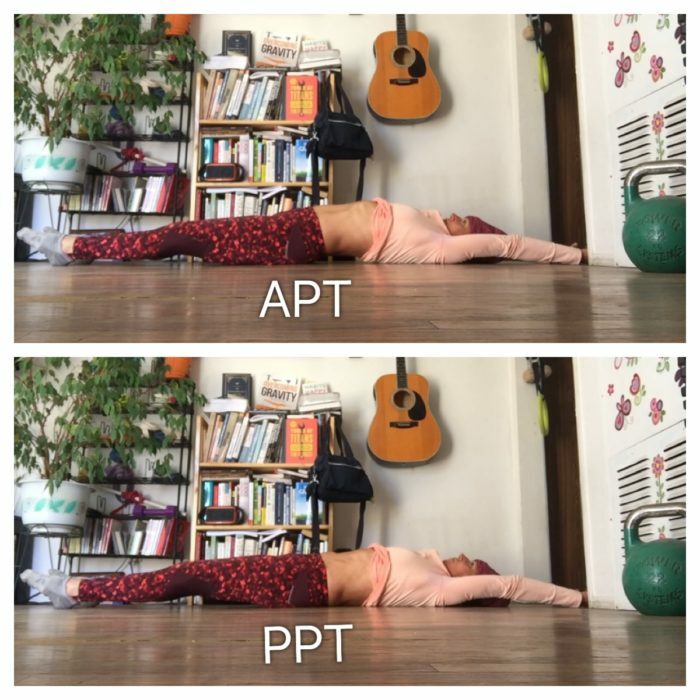 It takes quite a lot of practice to master your hips, but if you start practicing these pelvic tilt exercises today, you will feel great only in a few weeks. How your hips look and how you can control them will say a lot about your body. 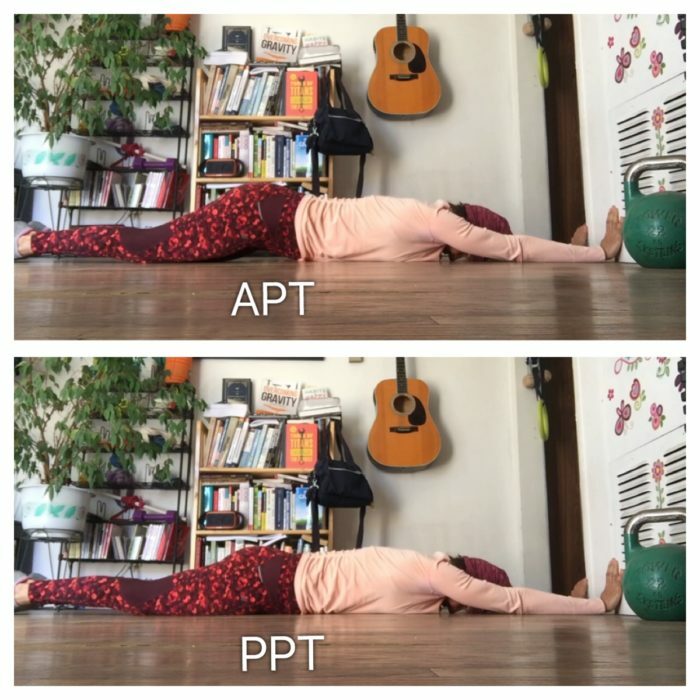 The two main hip positions are anterior pelvic tilt (APT) and posterior pelvic tilt (PPT). In anterior pelvic tilt, the top of your pelvis tilts forward and the bottom backward. It will give the look of sway back (very arched back) which can cause a lot of lower back pain—besides dysfunctional movement patterns. 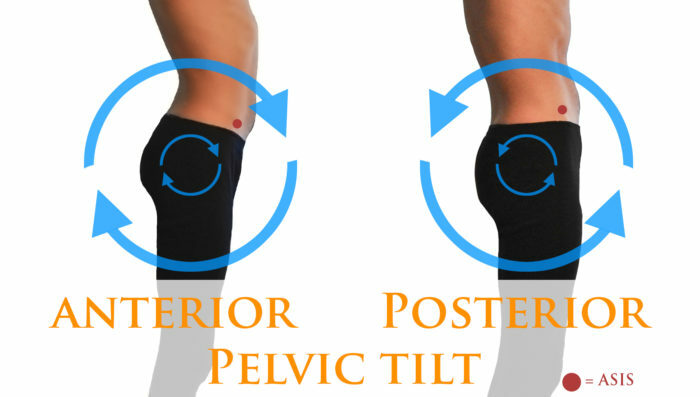 In posterior pelvic tilt, the top of your pelvis moves back, and the bottom forward. Visualize having a little tile like a dog and you want to pull the tail between the legs. The pubic bone in the front moves up. Your lower abs contract hard. This will flatten out the curvature in the lower back. When you do planks, push-ups, and different hollow body exercises, you want to have a strong PPT to bring stability to your core. If you do squats, for example, you want to have neutral spine, or even a little APT to engage the glutes and legs correctly. And when you stretch your hamstrings and adductors, you want to have a strong APT to stretch the legs and not pull on your lower back. Different movements demand different hip positions. Therefore it is very important to be able to control your hips and have the strength in the muscles to put the hips in the position that you wish. If you sit a lot and have constant lower back problems, you definitely want to work on getting a strong pelvic tilt control. Try the following exercise in three different variations: on your stomach, on your back, and standing. Lie down on the floor on your stomach, stretch your arms over head. Keep your elbows straight. You will get an extra benefit, a nice shoulder stretch. Tilt your hips forward as much as you can (strong APT). This will arch your back and lift the glutes off the ground. Do not use the legs to create the movement—use your core. Hold for 1 second and tilt your hips backward into a strong PPT. Your lower back will flatten out and your pubic bone will touch the floor. Hold for 1 second and repeat 10—20 times. You will find it difficult to keep your arms straight and by your ears, because your shoulders are tight. Arching (APT) will feel easy, but PPT may be hard. During APT, there will be space between the ground and your lower back such that a hand could slip in. When you PPT, you should crush this imaginary hand. Hold the PPT for 2—3 seconds, because this is the hard position. Don’t use your legs, lock your knees, point your toes, and only use the muscles in your hips and core. This will be the hardest one… stand with the back at the wall. The heels, glutes, shoulders, and head are touching the wall. Arms straight overhead and preferably touching the wall (can you do it?). Now APT (create a space between the wall and your lower back) and hold for 1 second. Now PPT (flatten the lower back and push it strongly to the wall) and hold for 2—3 seconds. Do not move your glutes away from the wall! As you get stronger in the muscles controlling your hips, you notice that you will have less tension in your lower back, hips, and hamstrings. 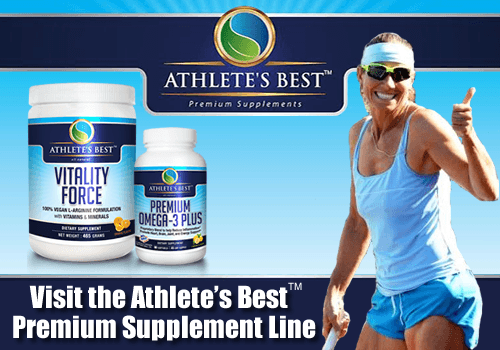 You may even feel more power on the tennis court and other athletic endeavors. Keep working on controlling your hip movements regularly and feel great. Also, remember to work on your hip-flexor strength from the previous post. 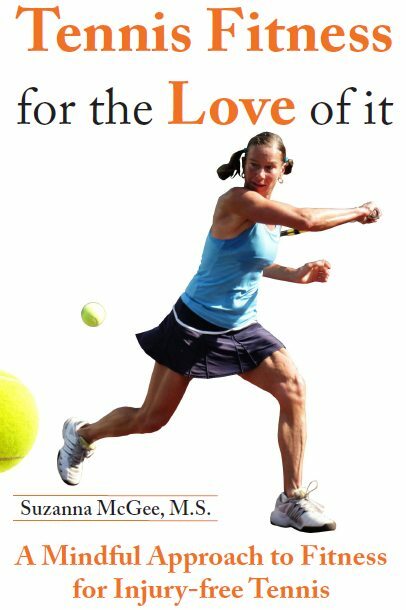 If you would like to get more easy to do strengthening exercises, stretches and myofascial release, get yourself the little book “Tennis Fitness for the Love of it” on Amazon.